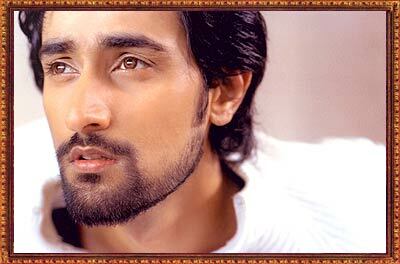 rediff.com: Kunal Kapoor: hot, HOT, H-O-T! At first glance, Kunal Kapoor is this cool guy with a lot of attitude. Speak to him a bit, and you realise he is just a regular guy. The 'cool guy' is dramatically shed, to reveal an unassuming guy with his feet well planted on earth. The 29 year old, who will debut soon in Meenaxi, M F Husain's second directorial venture after Gaja Gamini, lets rediff.com take a peek into his life. I was an assistant director for Rakesh Mehra's Aks. After the film, I enrolled for an acting workshop at Mumbai's Prithvi Theatre and a course at Namit Kishore Academy. I also did theatre in New Delhi with Barry John. That's when I heard that the auditions for Meenaxi were on. Soon, the makers called me and asked me to audition for a role. They had only seen some of my tight close-up pictures, and so they were worried I was short [in height]. And that would be a problem because I was to act opposite Tabu, who is tall. Luckily, for them and me, I turned out to be 6 foot 2 inches. The screen test was comical. They were testing for two parts: one was serious and the other comical. I got the serious one. I asked an assistant director how to go about it. He was quite hassled that day -- he was new and it was his first day at work. So he told me to make it comical, not realising that I had the serious part. I was stumped; I wondered what kind of film they were making! Anyway, I practiced in the lobby of Mumbai's Taj Mahal Hotel. After the screen test, they sat in stunned silence. Then, Owais [M F Husain's son and the film's associate director] asked me why I made it funny. I didn't want to name the associate director because it was his first day at work. And, well, associate director brotherhood! So I said I thought it was a funny piece. I did not expect to be called again. But they did. In a week, we doing a photoshoot with Tabu. In a month-and-a-half, we were shooting. I am shocked I got the role.